Q3: What is the wisdom behind saying, لا حَوْلَ وَلا قُوَّةَ إِلا بِالله “La Hawla Wala Quwwata Illla Billah” (There is no might nor power except with Allah) when the Mu`adh-dhin says, حي على الصلاة “Hayya `Ala Al-Salah (Come to Salah)” and حي على الفلاح “Hayya `Ala Al-Falah (Come to Success)” taking into consideration that they imply a call to Salah? Is there a Hadith that refers to that? A: The wisdom behind that saying is that man is weak by nature. He has no ability to move from a condition to another except with the help of Allah. Even his going to Salah in congregation needs the help and power of Allah. A servant of Allah has no might or power except with Allah. He realizes that he is weak, powerless, and unable to answer this call unless Allah helps him Alone. Therefore, upon hearing that call, he says: “La Hawla Wala Quwwata Illa Billah”. This is authentically reported from `Umar (may Allah be pleased with him) as related by Muslim in his Sahih. May Allah grant us all success! May Allah’s Peace, Mercy, and Blessings be upon you! Issued by the office of His Eminence and was read to His Eminence again on 4/4/1415 A.H. The astronomical reports about the timing of the eclipse must not be taken as the basis for offering Salat-ul-Kusuf. Some people of knowledge, including Shaykh-ul-Islam Ibn Taymiyyah and his knowledgeable disciple Ibn Al-Qayyim, may Allah be merciful with both of them, supported this view saying that the astronomers may sometimes be wrong and then these reports are not reliable and people should not offer Salat-ul-Kusuf depending on them. Rather, they have to offer the Salah upon seeing the eclipse when it is happening. 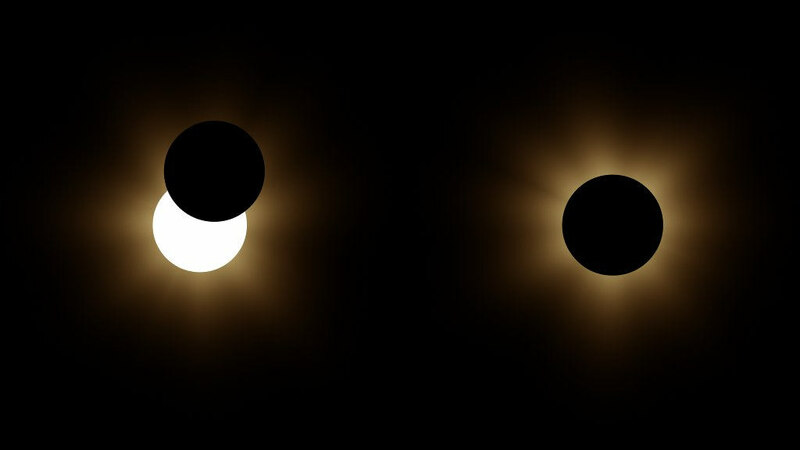 The publications of the astronomers’ reports about the timing of eclipse should be banned by the Ministry of Information lest some people should be deceived by them. These publications may make people feel less fear upon seeing the eclipse. Allah (Exalted be He) has made them to be frightening and hence, people remember, fear, invoke Allah, and treat their slaves well. May Allah grant us success!